When a person or company sues a manufacturer over their product, the courtroom isn’t the only place they’ll end up in order to settle their dispute. Often, the litigants will also find themselves in a lab, looking over the shoulders of scientists like us. Product litigation can occur over manufacturing defects, design flaws, personal injury, patent infringement and misappropriation of trade secrets. A joint inspection is an important phase of product litigation intended to answer critical questions such as how a product is made, what it’s made of and how it might perform in real life. 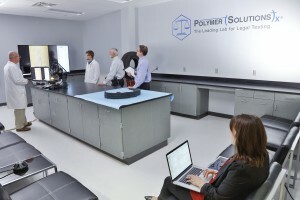 The inspection brings plaintiffs and defendants together in a laboratory setting where they can watch researchers perform tests on the evidence. The physical evidence to be tested is first photographed for documentation purposes. The litigants agree on the final protocol. All non-destructive tests, such as photos and taking physical measurements, are done. If destructive testing will be done — and the sample destroyed as a result — the litigants and investigators will agree on a specific sampling plan. Destructive testing is done and analysis performed. The parties agree on how the specimens will be packaged and sent to other labs, if necessary. The parties discuss and agree on how the physical evidence will be stored and who will retain possession of it. Litigants and investigators define how all the data sets will be provided to all the experts, when and in what format, the level of interpretation of data sets permitted by the laboratory, and with whom the lab is allowed to directly communicate. And the final decision — who will pay the bill! PSI’s joint inspection room is located within PSI’s headquarters in Falling Branch Corporate Park in Christiansburg, VA. The space was designed to address such key considerations, including appropriate lighting, seating for spectators, required equipment and investigators who have not only extensive experience in testing, but also in joint inspections. 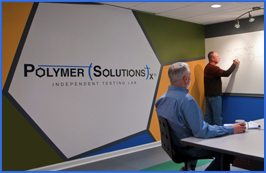 Interested in learning more about our state-of-the-art inspection room? Contact us!